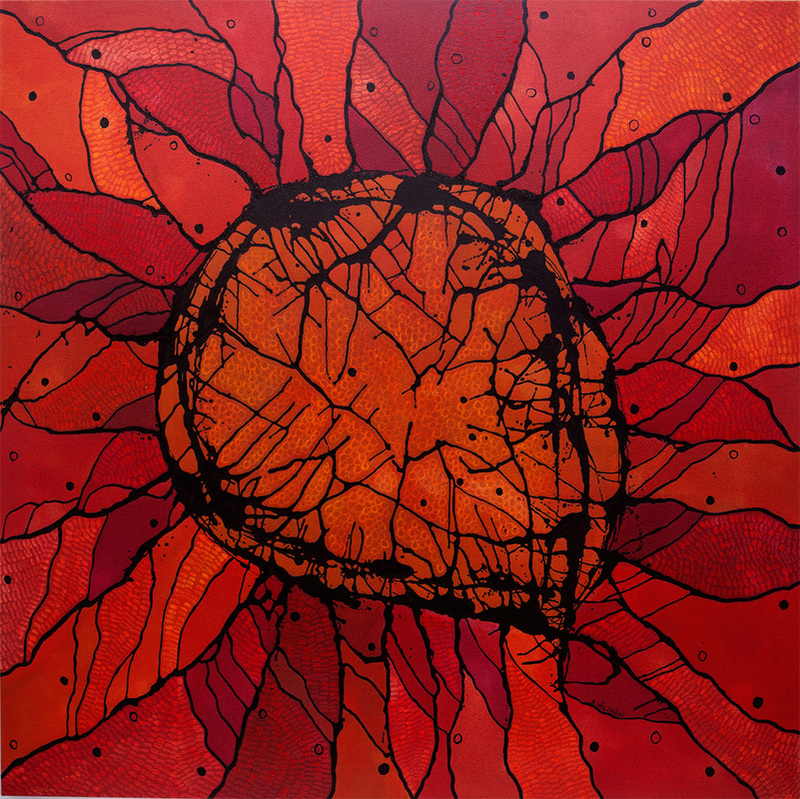 Arja Välimäki is an Australian-based, Finnish born artist who works in painting and sculpture. Her work examines issues of culture, connection and identity, and is influenced by Scandinavian design. Arja spent her childhood in an environment rich with Marimekko textiles. Minimalism may also have had some influence on her art. 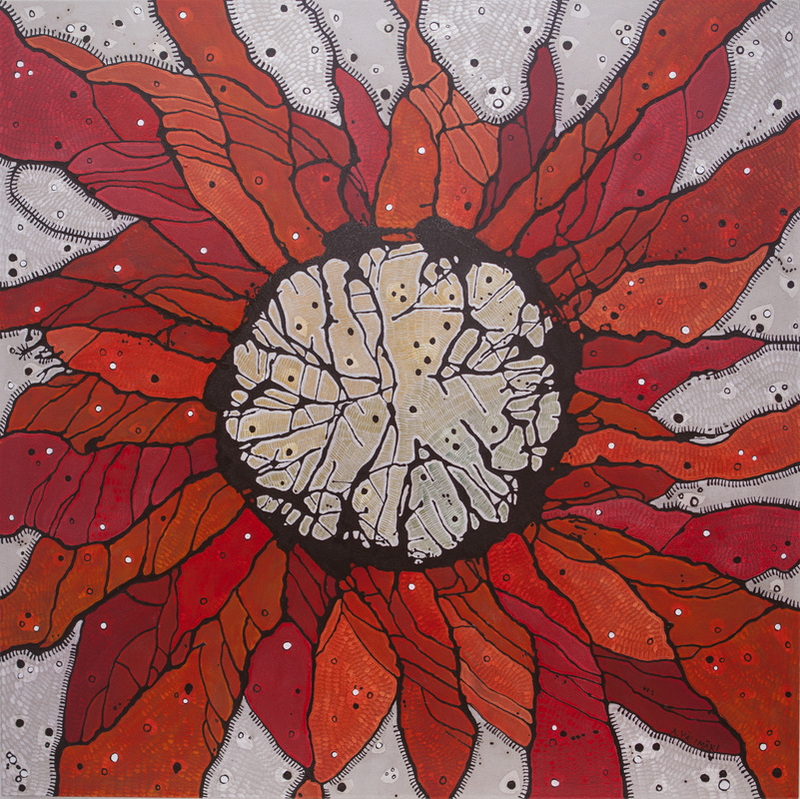 She admires works by artists like Yayoi Kusama, John Coburn, John Olsen and Jackson Pollock. 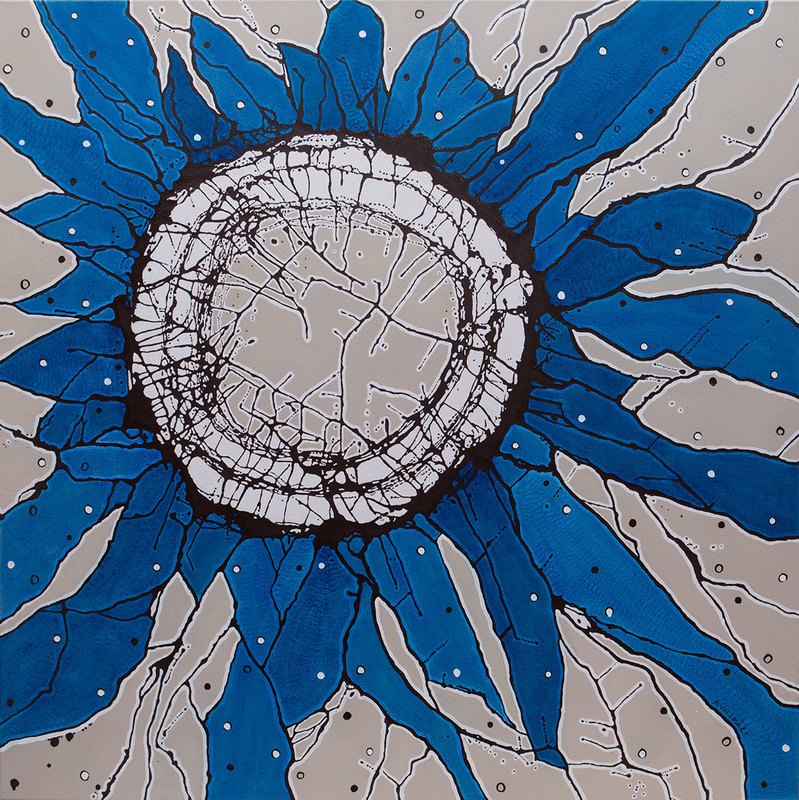 Her current body of work explores nature and how she relates to it. Part of it was shown in a major solo exhibition at the Embassy of Finland, Canberra in 2015. Arja starts her daily practise with a coastal walk where she finds an exultant connection to nature. 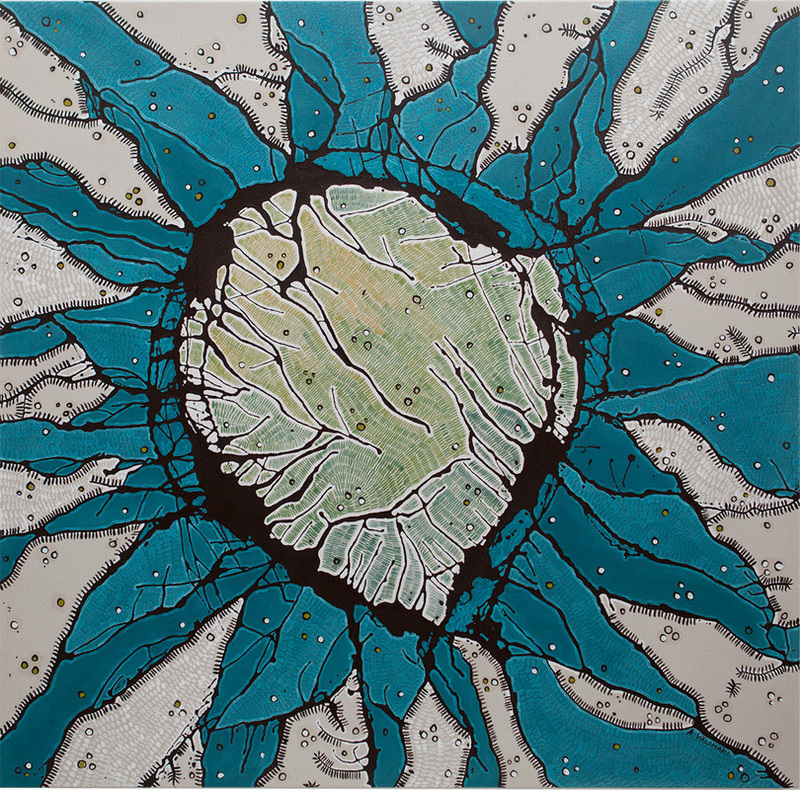 She draws her inspiration from the microscopic details and bird’s eye views of the landscape. 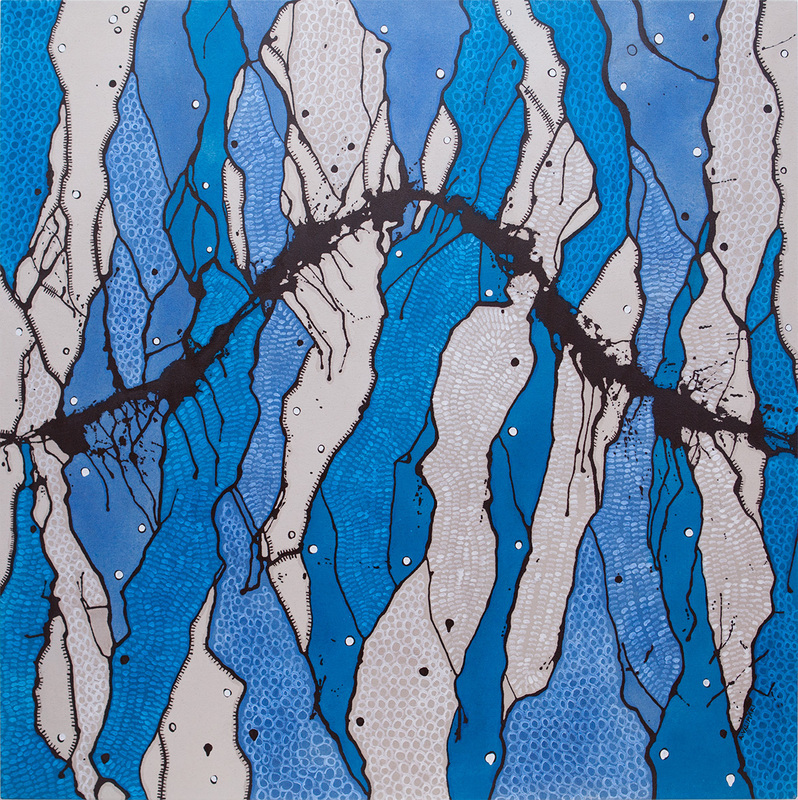 Arja’s daily practise is reflected in her abstract interpretation of the way she feels when in nature. She absorbs the details and patterns that the water and sea life leave behind on the sand and rocks. 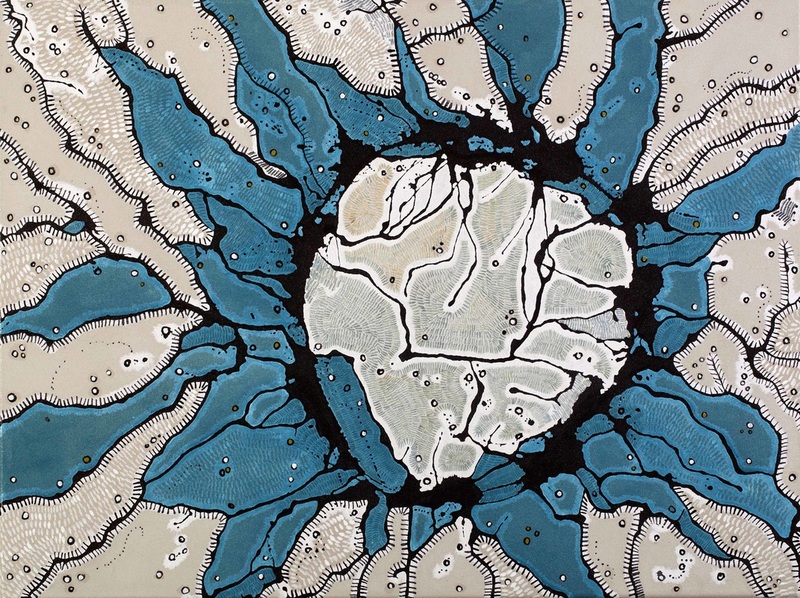 The vivacious arrangements that emerge in Arja’s paintings can be interpreted as microscopic images or photos taken from space. 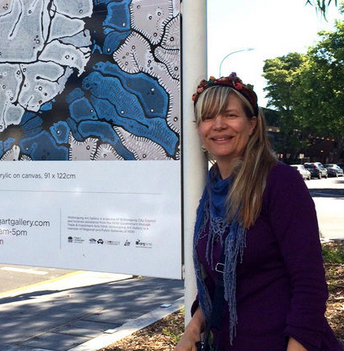 Practising since the mid-1990s, Arja has completed her BFA and MFA at the University of NSW. 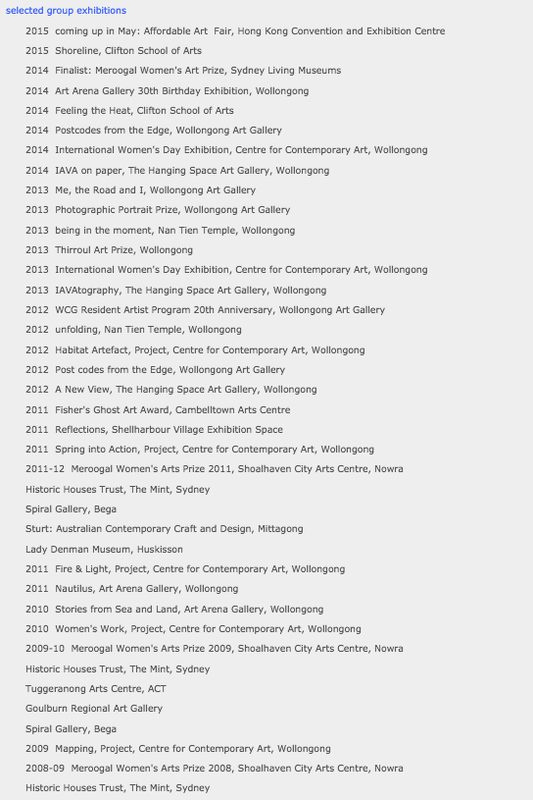 She has exhibited widely in both Australia and Finland, including sixteen solo exhibitions. She has been a finalist in the prestigious Wynne Prize at the Art Gallery of NSW, Sculpture by the Sea and the Sydney Living Museums Meroogal Women’s Art Prize. Arja has won numerous awards and grants, including a scholarship to study her MFA. Arja was also named 2004 Young Kalevala Artist of the Year, Finland. 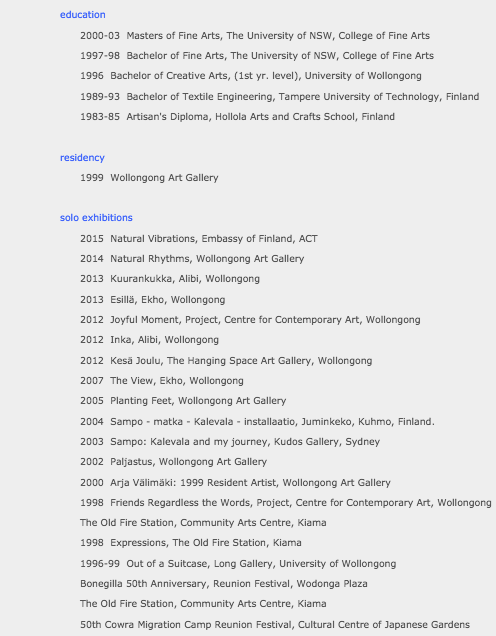 Her works are held in public and private collections in Australia and Finland.